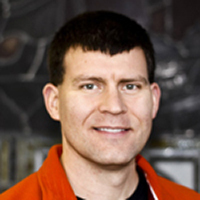 An introduction to the study of the Pre-Columbian Americas as part of the broad interdisciplinary field of Native American Studies. Flatland is a world that exists entirely on a two-dimensional plane. All different kinds of shapes live, work and play in this world. The story follows Arthur Square and his curious granddaughter Hex. When a mysterious visitor arrives from Spaceland, Arthur and Hex must come to terms with the truth of the third dimension, risking dire consequences from the evil Circles that have ruled Flatland for thousands of years. An animated classic starring Donald Duck. Donald Duck gets a lesson in math appreciation when he is shown the relevance of math in everyday life. Donald wanders into a mysterious land filled with numbers, shapes, and peculiar symbols. "The Spirit of Adventure" (narrator) informs the skeptical duck that he is about to embark on a journey through the wonderland of mathematics. Donald is whisked back to ancient Greece to meet Pythagoras, the father of math and music. After eavesdropping on a secret meeting of Pythagoreans and turning their serene musical trio into a riotous quartet, Donald continues on his journey. He takes on numerous roles, including art critic, nature observer, billiards player, baseball player, and even Lewis Carroll’s Alice. 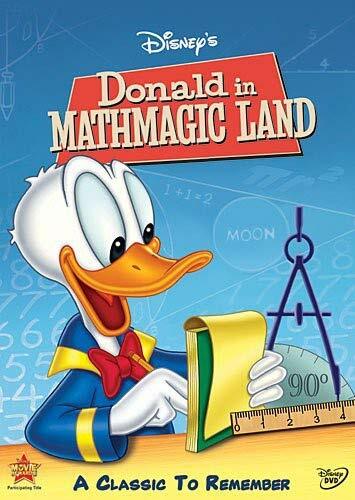 Through his adventures in Mathmagic Land, Donald comes to appreciate how measurements, calculations, shapes, and ratios contribute to music, architecture and art, nature, games, and inventions of all kinds, as well as the role of math in the future. Lecture 24. The endless frontier of number. A humor-inflected history of the of the number one, covering military applications in ancient Rome, the measurement of distances in India, and the decimal system created by Leibnitz.